A peasant girl named Karen is adopted by a rich old lady after her mother's death and grows up vain and spoiled. Before her adoption, Karen had a rough pair of red shoes; now she has her adoptive mother buy her a pair of red shoes fit for a princess. After Karen repeatedly wears them to church, they begin to move by themselves, but she is able to get them off. 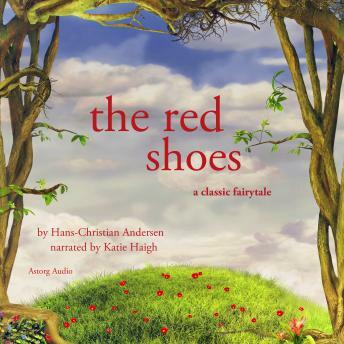 One day, when her adoptive mother becomes ill, Karen goes to attend a party in her red shoes. A mysterious soldier appears and makes strange remarks about what beautiful dancing shoes Karen has. Soon after, Karen's shoes begin to move by themselves again, but this time they can't come off.